I have written an SQL query to return the total quantity of products ordered and total price. 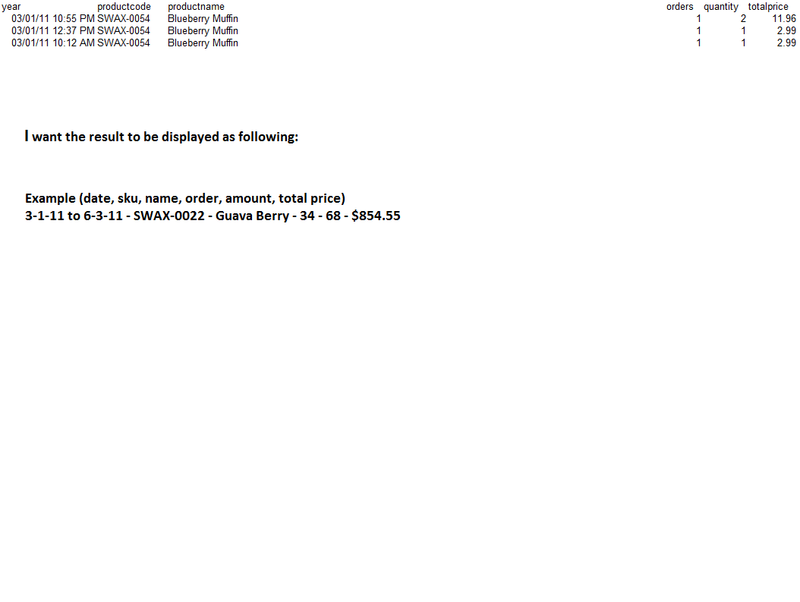 The query returns a result for each order in the range I have specified.Please find attached the output i am getting. Please advise.The above output is just an example for one product. What is the query that you are working on ?